What good is a rainwater harvesting system of any kind if your gutters are clogged? 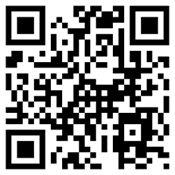 RainTankDepot has a solution and it is third-party certified GREEN! 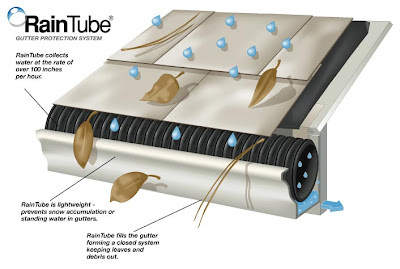 RainTube – Gutter Protection SystemInfinite capacityModular and lightweightAdapts to any size or shapeInstalls by hand - without heavy equipmentThird party certified greenRainTube used in custom residential applications reduces maintenance and improves the functionality of gutters. Helps prevent damage caused by uncontrolled rainwater runoff increasing life of structure. RainTube improves collection efficiency of rooftop rainwater harvesting and catchment systems. A green product, RainTube is made from 100% post-consumer recycled materials and is 100% recyclable.RainTube provides economical, effective gutter protection for investment properties including offices, apartments, and town-homes. Normal investment payback within 2 years on reduced maintenance alone.Versatile and AffordableRainTube can be configured to work with any roofing material from asphalt shingle to slate and even works with flat or low-pitch commercial systems.RainTube retrofits neatly into existing installations with no mechanical attachments to the structure or roof.RainTube protects homes, wineries, horse arenas, barns, storage and industrial facilities. Works well with oversized box, half-round, copper and custom sized gutters.The patented RainTube material is pourous and fits snugly into the body of the gutter keeping debris high up out of the water where it can dry out quickly. Water flows in great volumes around and through the tube via thousands of tiny passageways. In most installations, RainTube "crowns" slightly above the top of the gutter creating a slippery aerodynamic surface that removes most debris with a natual breeze. Any remaining stubborn debris can be easily removed with a light brushing or blowing whenever the roof is maintained.RainTube collects water as fast as an open gutter. In fact, RainTube collects water so fast that in a storm the bottom of the gutter is scrubbed clean as rain passes through. RainTube will not deteriorate and is virtually invisible when in place. Plus, it prevents snow and ice buildup in cold climates and can even be fitted with an optional heating element.The job of the rain gutter is to catch and direct water away from the structure. Normal gutters don't work because they are only half a solution (like an engine without gas). Their open design means they collect all forms of clogging debris.Once clogged, the water can backup and overflow causing roof leaks, dry-rot, termite infestations, foundation settlement, basement flooding, landscape erosion, and wall and siding damage -- resulting in lost value and expensive repair bills. Even when it’s not raining, trapped debris holds moisture, accelerating deterioration of the gutters. When the debris is dry, it creates a fire hazard on your roof.